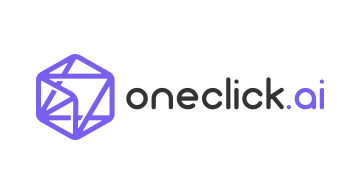 OneClick.ai is the first Automated Deep Learning platform that requires no data science background from users. The platform automatically builds, trains, and deploys custom AI models for applications like sales forecasting, fraud detection, customer retention, image classification, object recognition, recommendation systems and more. OneClick.ai is an official member of the Intel AI Builders program, Tableau Technology Partner program, NVIDIA Inception Program, MapR Platform Partner program and the IBM Marketplace. Funded by Sinovation Ventures, OneClick.ai is headquartered in the Seattle area with operations in the US and China. Try the platform free at https://www.oneclick.ai/signup or email ask@oneclick.ai to learn more.